The Lusitano horse breed is a great horse breed that is actually an ancient Portuguese horse breed. The funny thing was, however, that until the 1960′s, this horse shared its registration with the Spanish Andalusian horse. Either way, both of these horses can some times be called Iberian horses, but that is because they come from the Iberian peninsula. The Lusitano Horses are actually horses that were first developed a long time ago for military purposes. Over time, the Lusitanos were also used during bull fighting as well. As you should be able to guess, the Lusitano horses are horses that are well known for their courage. This is the main reason why they can be used in bull fighting. They do not freak out when they are frightened, making them one of the greatest horses to ride on during a bull fight. They do have a tendency to bond very strongly with humans. Most of the time, too much. In fact, some of these horses have gotten to the point that if they outlive their owners, they become depressed and will no longer run. This makes Lusitano horses one of the most human friendly horses alive. The Lusitano horses for sale also have great balance. When you are riding on these horses, you can feel it balance its weight under you. This just leaves one less thing for you to have to think about when riding on these horses. When you go out to get one of these horses, you will see that they usually stand about 16 hands high. However, a few of them can be found as small as 15 hands high, making them still a very large horse breed. No matter what color Lusitanos you choose to get, it is more than likely going to turn gray with age. This is one of the only horses that actually has a color change in its hair as it grows old. Other than that, they do come in other solid colors like buckskin, cremello and, of course, Palomino. Most people enjoy looking at these horses’ faces, because it always looks as if the horse is smiling at you. However, when they are sad, it can be seen in their face as well. 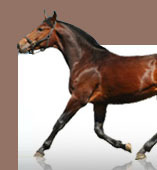 These horses make great family horses if you have room for your horse to live on your property. If you do not, however, then this is not the horse for you. They bond very much with their owners, and they have to have their owners around all the time. This is an animal that is going to want to see you everyday, even if you do not ride on it. However, this is a horse that loves to be ridden on a lot. So be sure to take it out riding whenever you get the chance. If you are looking for a horse that is going to fit right into your lifestyle, or you just want a horse that gets along great with people, then this is the horse for you. It loves people and wants to be around people, making it a very friendly horse.